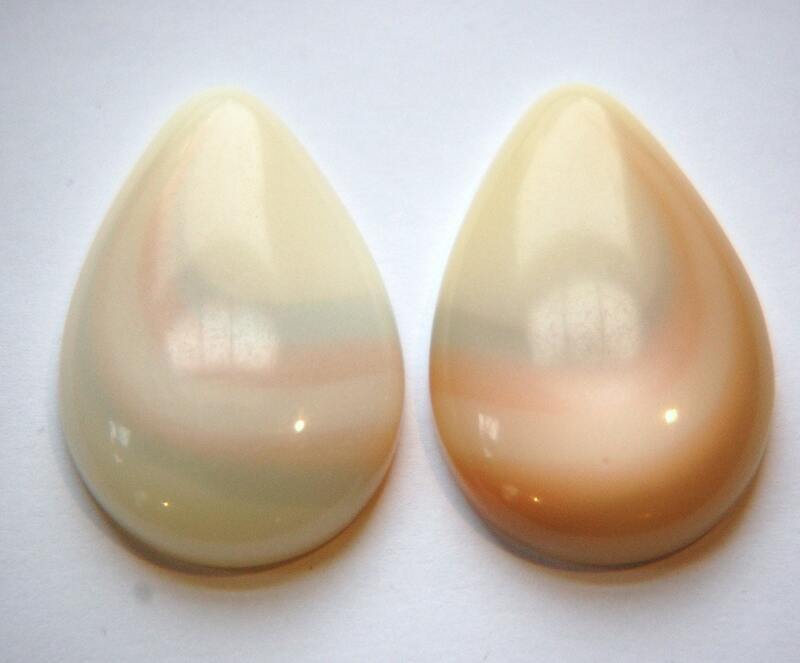 These are vintage lucite cabochons that were made in Italy. They are a cream with a silver gray and a peachy swirl. These measure 38mm x 25mm. You will receive 2 pieces, one left and one right facing however they are not matched pairs as each is unique. Thank you. Wonderful shipping and packaging. They look like mother of pearls, and are larger than it appears on the screen. Can't wait to do colour matching for my projects.